In our everyday lives we breathe to live or live to breathe; we do this effortlessly, without even trying. 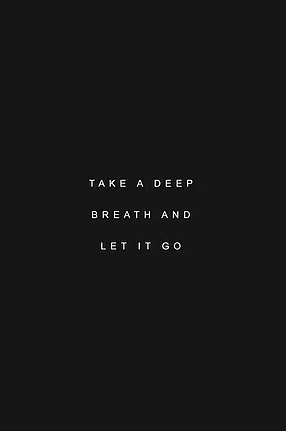 Yet, in times of sorrow, frustration, fear and sadness we forget about our breath; it may become stagnant or completely lost all together. The other day in my yoga class the teacher prompted us by saying, “let the breath be your guide”. In that very moment I came to the realization that we all have the ability to change our thinking, our realities, life and emotions with one simple tool- our breath. As we utilize deep inhalations and exhalations it brings us back to our center, grounding us and realigning oneself. Every time I step onto my mat I lose myself in the breath and there are no worries, no thoughts to be had. And it’s in those precious moments of solitude that everything falls simply right back into place…a place of peace, a place of love.